Want to try something new and innovative ways to decorate your house? 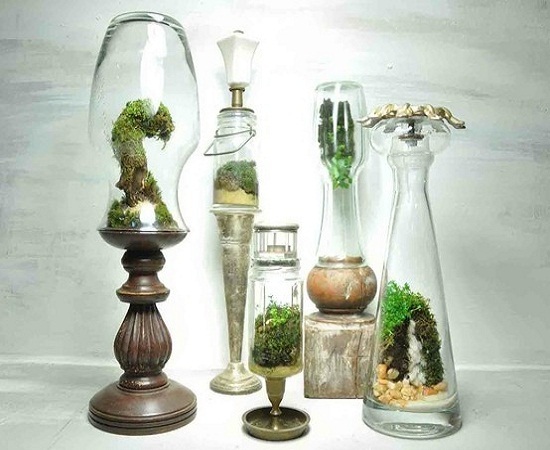 Enter the era of the terrarium where you can hold a cluster of plants and other organisms in a closed glass container of different shapes and sizes. The sunlight can enter through the glass and create water vapors, which then creates water for the vegetation survival. 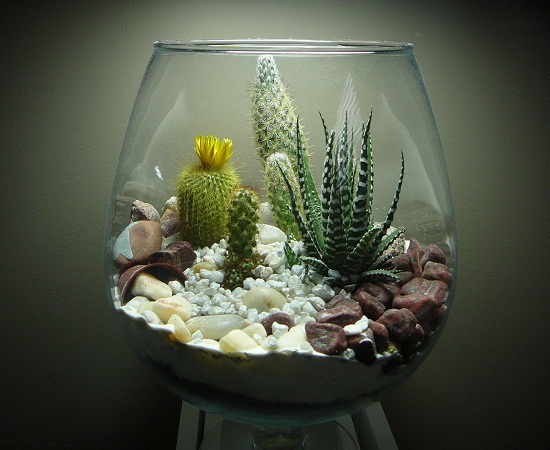 You can follow some simple DIY terrarium steps to create your own masterpiece to make your home beautiful and green. 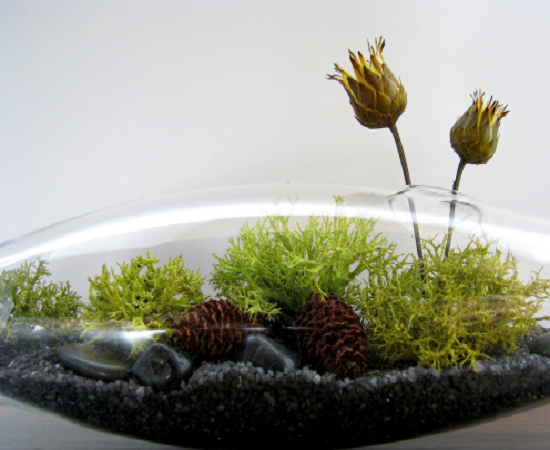 There are many types of terrariums which you can make depending upon the shape of the vessel. 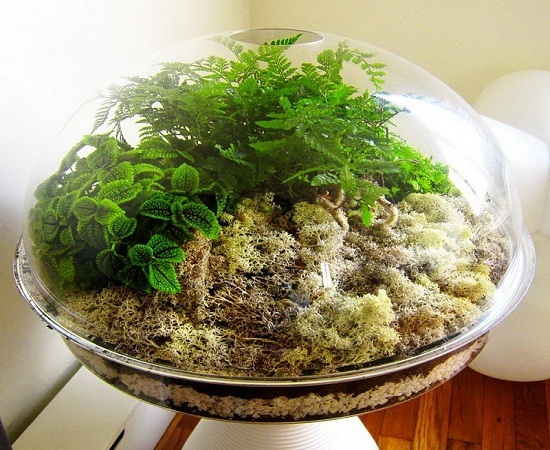 Some of the most popular and easy to make terrarium ideas are listed below, which will brighten up your surroundings. 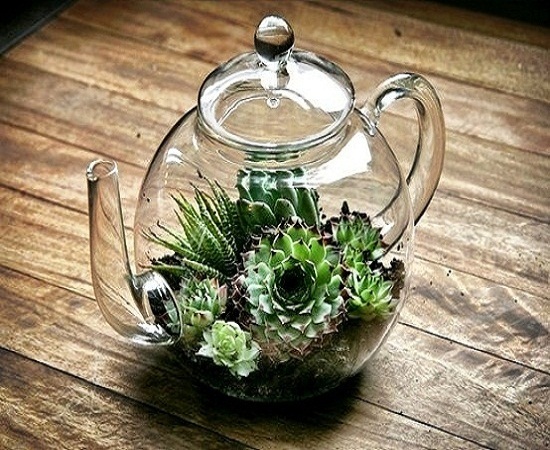 A kettle can be used in a number of different ways, one of them can be for hosting a magnificent terrarium. It has the perfect shape for holding medium-sized plants and can be placed in any corner of your house to make it glow. The outer frame is made of glass and steel with a few opened windows. You can grow small terrarium plants as well as flowers in it with ease. Its big structure allows an easy formation of flowers and the option of open windows also provides fresh air to the ecosystem. There is no better place to grow a complex terrarium than in an aquarium. You have ample of space to experiment and employ your creativity with perfection. There is also a possibility of keeping fish and other aqua organisms. 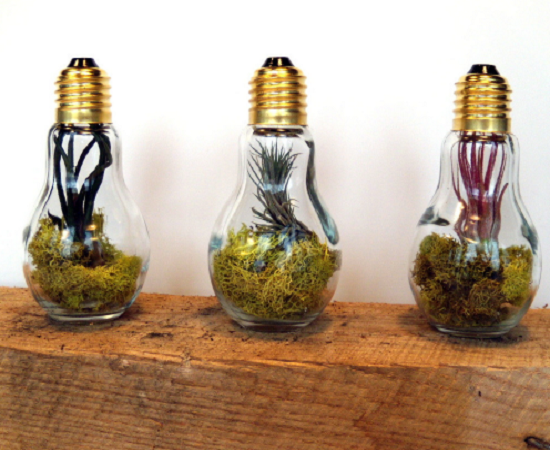 Every house is filled with many unused bulbs and creating a terrarium in it is the best way of utilizing it. This can be little tricky, but with proper guidance and few careful steps you can easily create your own bio-network to cherish for life. 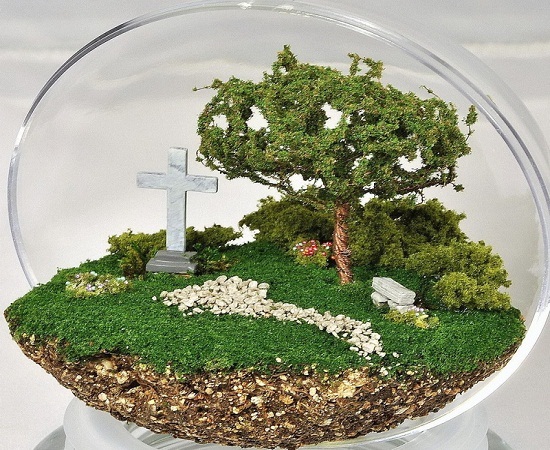 In this particular terrarium, a graveyard is created within the vessel with a beautiful small tree and a bench. You can keep this in any corner of your house to remind yourself about what great things life can bring to you with the beauty of plants. What is a good thing to place on a cake stand beside cake? It is a fully grown terrarium. This will help you showcase the true essence of this ecosystem easily and can clutch, bigger plants and even a few organisms. 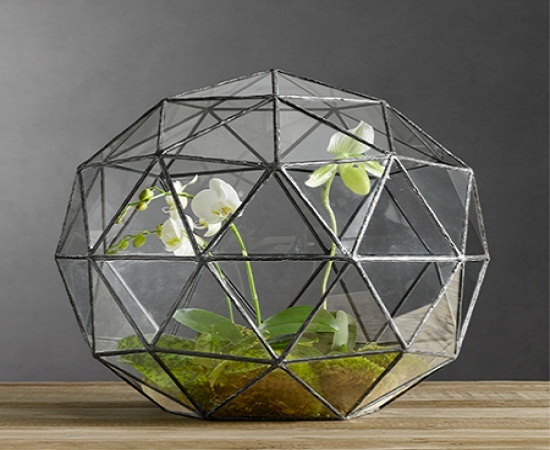 There are many terrarium ideas, but this one is unique. The vessel is very long vertical shape and can hold plants as well as organisms with ease. You can also grow flowers in it by making holes for them to pop out and grow naturally. It is the perfect blend of ecology and creativity. You might have used many different kinds of lamps to decorate your homes. 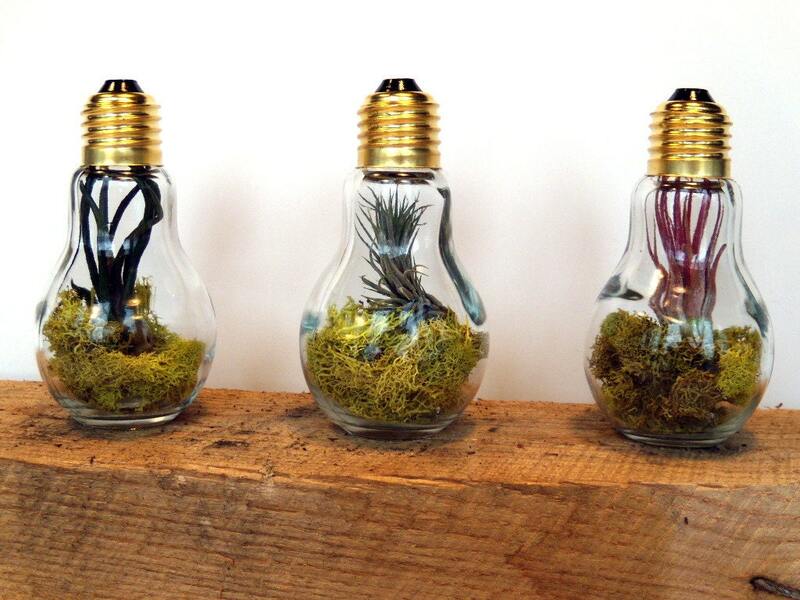 Your stylish lampshades can now stock different terrarium plants and organism with creativeness and panache. 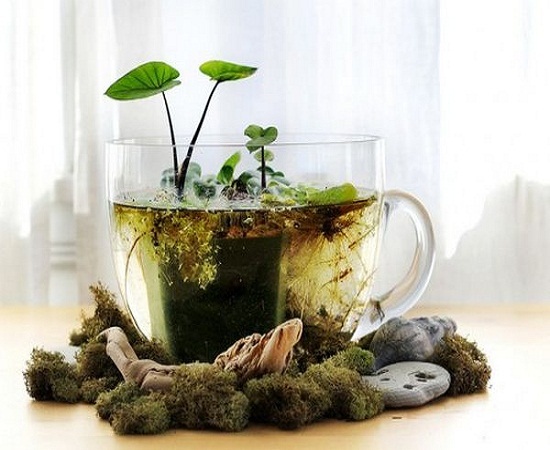 Whether they are small or large, you can create your own world of ecosystem inside them and they can also be hung anywhere. Green tea is healthy for your skin, but who would have known that it can host an entire biota. 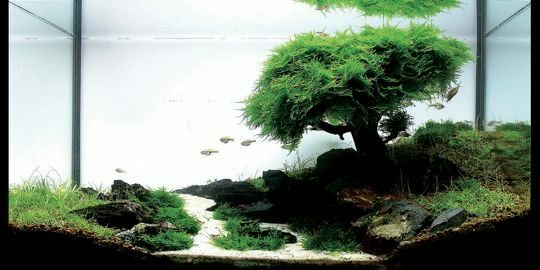 Usually small plants are preferred for this type of terrarium like the lotus, which have the ability to float above the water. Ideal for placing on your breakfast table to get a fresh insight into the world of plants. 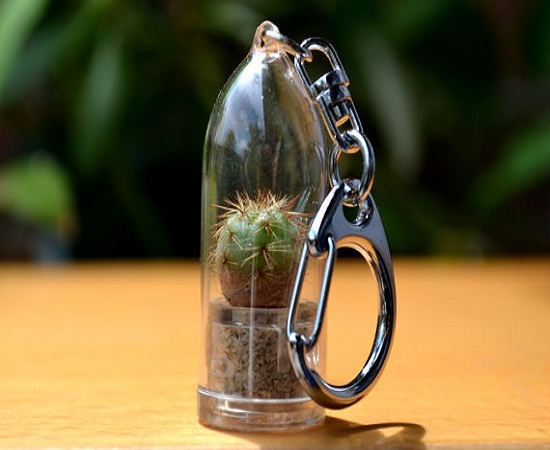 The is a very small terrarium which is placed inside a key ring or a miniature lamp. They can be placed along the roof of your house or can be hanged in a cluster to make any room lighten up with originality. You can also put them in every room of the house to stay closer to earth at all times. Wine is best enjoyed in a high quality wine glass, but it can also be utilized to hold a beautifully enhanced terrarium. The bottom shape of the glass makes it ideal to store stones and sand easily to create a beach look. You can create many terrariums in multiple egg shaped vessels and attach them together to form different items like a wind chime. They require delicate handling due to the small entry point, but once made is so beautiful that it will make your home alleviate with light. There are many different house decor items present in the market which you can use to make your home beautiful. 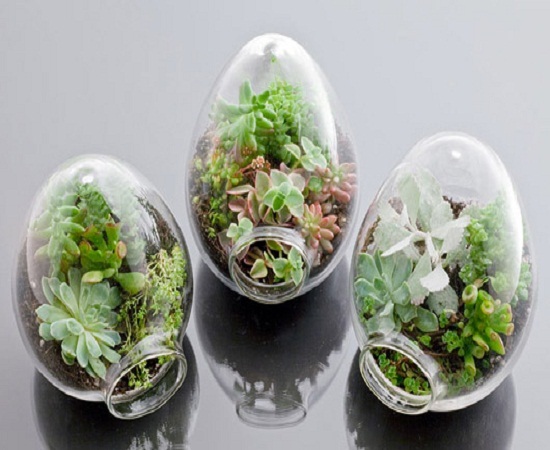 With such incredible terrarium ideas you can now create something that is not only different, but will help you stay connected to the true meaning of life.